If you regularly comb the internet for golf stories like we do, then you have probably come across your fair share of golf cart heist stories. But how many times can you recall reading about a golf cart that has withstood numerous theft attempts? That has been the case for a decrepit maintenance cart at Sterling Farms Golf Course in Stamford, Connecticut, which has been unsuccessfully targeted by thieves on four separate occasions! 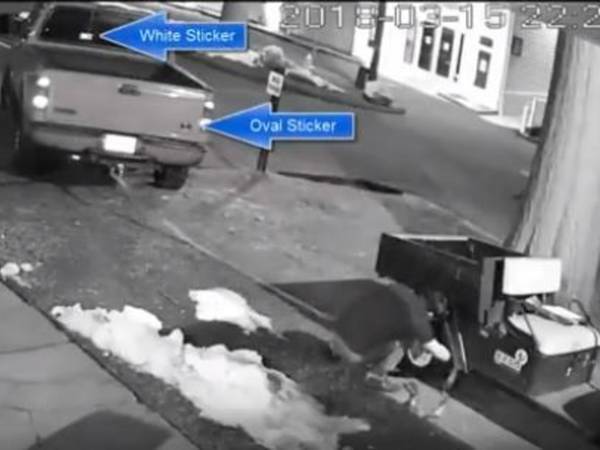 The most recent attempt occurred on March 15th, when surveillance cameras showed a man in a Ford pick-up truck trying to tie the cart to the back of his vehicle and drive away with it. Fortunately, the cart was chained to a rock on the property and the rope snapped during the incident. The cart did sustain $1000 worth of damage, including two busted tail lights and a detached steering column. And since the incident, several golf club employees have fittingly started referring to the cart as “Frankenstein” for both its grotesque appearance and its unique ability to keep coming back from the dead! 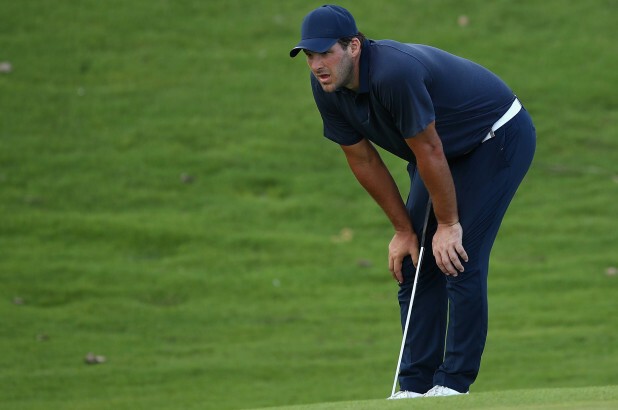 Dustin Johnson may have hit the most behemoth drive in the history of golf last week at the WGC-Dell Match Play when he uncorked a 489-yard howitzer on the 12th hole of the Austin Country Club on Friday evening! Unfortunately, there is no footage of the drive. 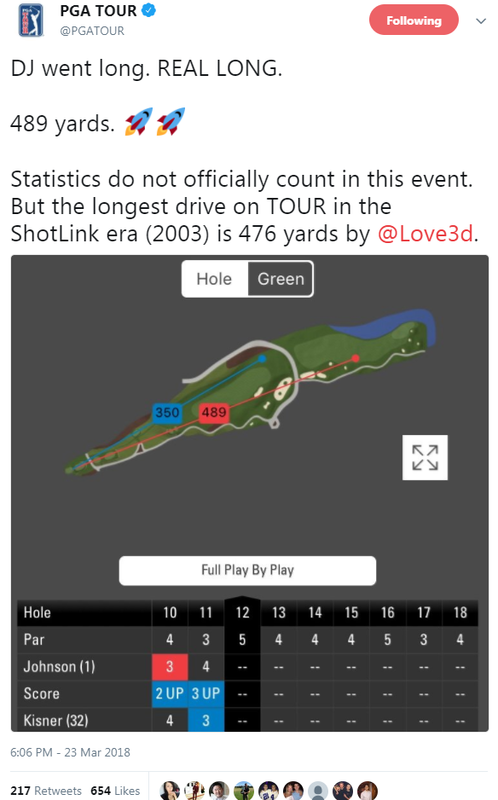 But, the circuit did tweet out this incredible graphic of the shot to help put DJ’s mind-boggling distance into perspective. 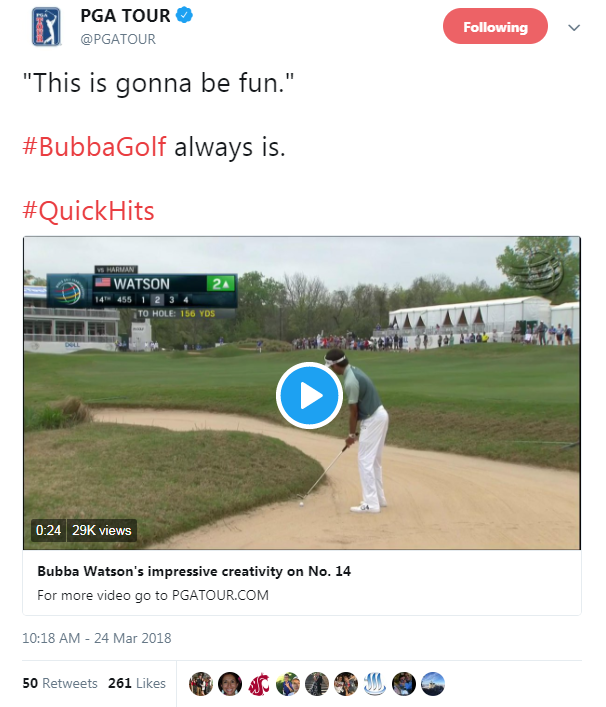 For some time now, Bubba Watson has been one of the best escape artists on the PGA Tour. But this fairway bunker shot right up against the lip of the bunker in his Saturday match against Brian Harmon would have made even Harry Houdini blush. Incredible!